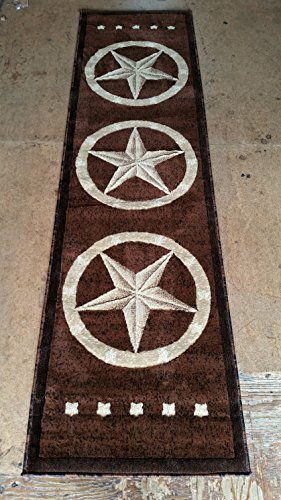 This texas star runner area rug will compliment any room you decide to use it in. May be cleaned with soap and water or mild detergent or may be steam cleaned. Made of 100% olefin.. (polypropylene) in Turkey. If you have any questions about this product by Americana, contact us by completing and submitting the form below. If you are looking for a specif part number, please include it with your message.